The bedroom is one of the most intimate places, and this is why it is one of the most defining our personality throughout the house. When decorating the bedroom, as with other rooms, you should take into account the space we have at the moment to unleash our desires and imagination. 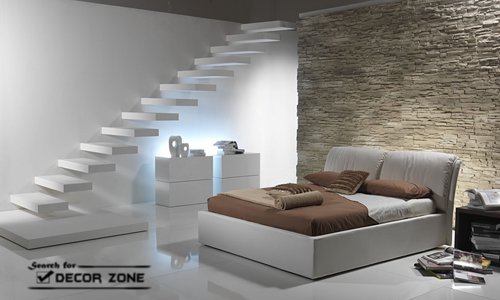 Minimalist bedroom design is an excellent choice as it is extremely harmonic and peaceful. No fanfare, let alone bedtime. The minimalist style is the most innovative in the decoration, furniture with just gentle curves and straight lines are all that define this style furniture. In addition to the purity of the lines between the parts, we offer a new collection of minimalist bedroom designs which are perfect for creating a pleasant and modern atmosphere, and of course without losing functionality. - You have to be very careful not to fall in white and black. Synthesis and sobriety not uniformity or monochrome. - Choose a single bed, either wood, iron, bronze; the material does not matter, what matters is that you have very simple lines. - Dress the bed simply omitting lots of pillows or cushions. - Select and comfortable styling also simple lines, no frills or fancy ornate. - The light tables should be simple, if the lamps on them are with no lines drawn, it's preferably to use cubic or cylindrical. - No bulky fabric curtains should be placed in the windows. Simply opt for a system of rods, whether of plastic, wood or other material. - Do not abuse the use of rugs, it is important that the floor looks unhindered. - when you have a minimalist bedroom design, avoid the clutter, do not leave clothes lying or accrued. - Avoid using too many pictures, photos or embellishments. The walls must also be unobstructed view. - Establish a pushchair as a place where clothes and shoes that are in use will be supported. In the minimalist bedroom, the minimalist touches of color are needed, with distinctive touches also elements: a pillow that is highlighted, a striped textile design in bright colors or interesting luminary color. Any special not too baroque design can be the element that focuses the attention, a fundamental issue in minimalism. Do not forget that there is interest in minimalism. reprimands are there for fun, not a boring style. An important tip to consider when making a minimalist bedroom design: no vases, no gold trim, nothing tastes baroque decorations or Renaissance, nothing to break weather wise. 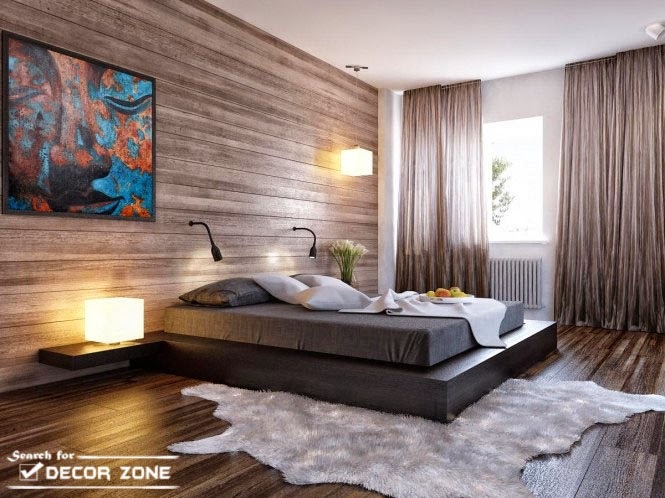 The minimalist bedroom trend is very fashionable in recent years, this is thanks to its main features: furniture, order, cleanliness, sober colors and elegant colors. The minimalism bedroom design should has only the truly necessary furniture with simple lines and avoiding the use of decorative accessories like flowers, very luxurious carpets and paintings. In any minimalist bedroom three gunwales must be met that are very basic: a few decorative accessories, little furniture, simple and harmonious interior design. Having to decorate a bedroom in minimalist style is a great option for people who like order, cleanliness and convenience. To all those people I have compiled a selection of images of bedrooms decorated in a very modern minimalist style, I hope these pictures will show you then I will serve you as a source of inspiration for the interior design of your home.